Travel in style as you sail round-trip from Southampton with Cunard. 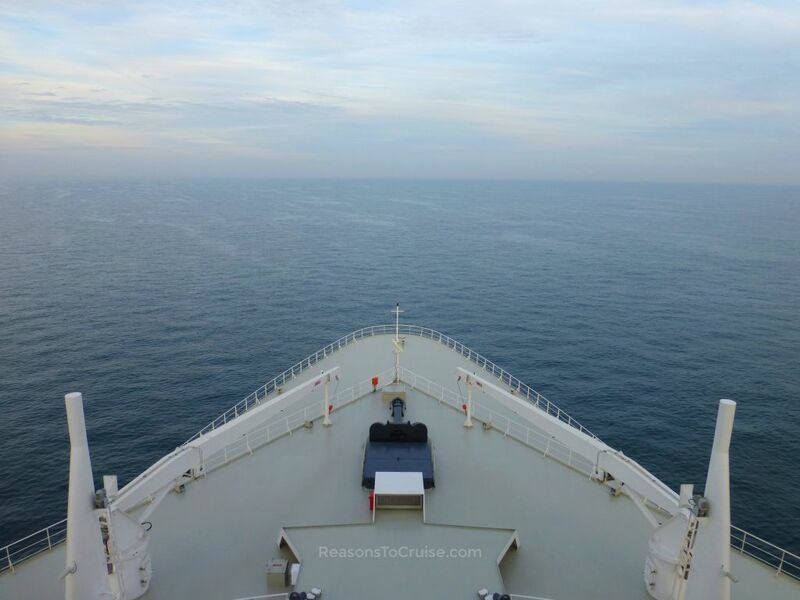 This short mini cruise onboard Cunard's Queen Mary 2 sails from Southampton to Zeebrugge (for Bruges) and Guernsey, before heading back home. Head to Southampton to board Cunard's Queen Mary 2 on Sunday 12th May 2019. On Wednesday 17th April 2019, I found a starting price from £1,699 per person based on two sharing the cheapest cabin (usually this is an inside cabin). 6 days prior it started from £1,299 per person, a hike of £400 per person. Want to compare this short break to a hotel stay? A starting price of 'from £1,699 per person' equates to 'from £339.80 per person per night'. In my last 38 checks, the cheapest I have seen this cruise start at is from £449 per person, and the highest I've seen it go is from £2,299 per person. Cruise prices are based on supply and demand so the more spare cabins there are closer to the sail date, the cheaper the prices often become. After all, no cruise line likes sailing with empty cabins and this cruise sails in 24 days.